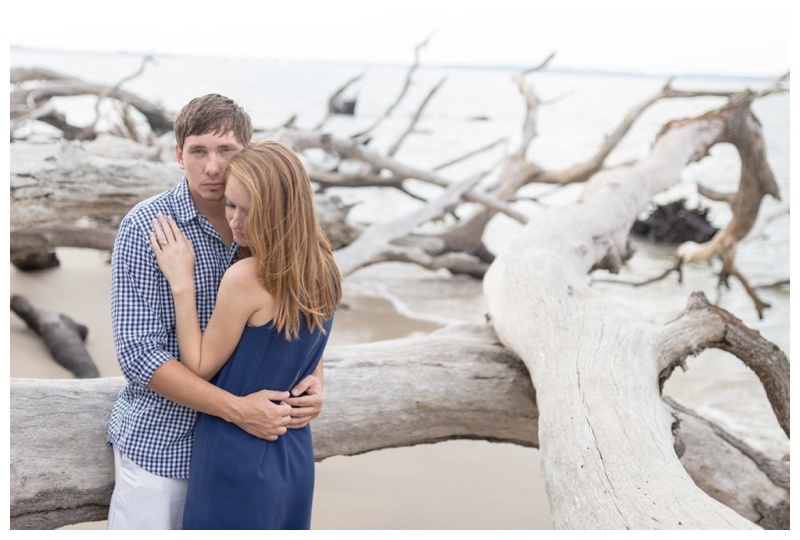 She lived in Birmingham, Alabama, and he lived in Pensacola, Florida just over a year ago. They randomly met one weekend in Birmingham, and neither of them knew what was in store for the future. John was immediately drawn to Sarah's beauty, sense of humor, smile, and intelligence. They did whatever it took to make the distance work, with a three and a half hour car ride every weekend just to see each other. Sarah knew from the beginning that there was something about the relationship that just fit. They put their all into a long distance relationship that started from the very beginning. 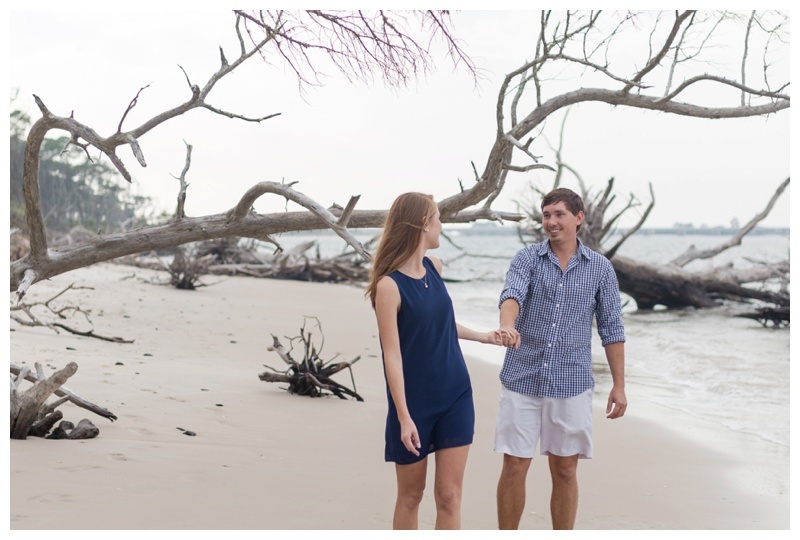 Throughout it all, John was offered a job promotion in Jacksonville, so they took the opportunity to move to a new city to start their lives together. 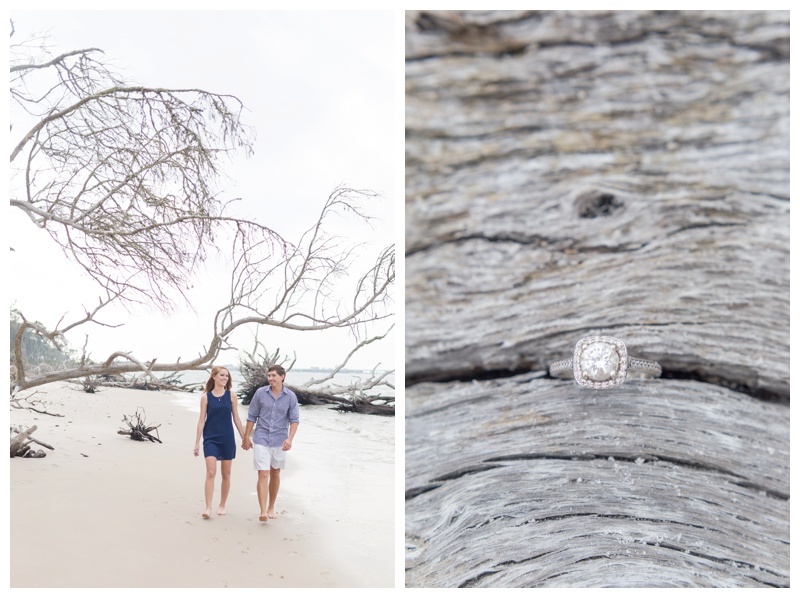 The day of their engagement session was warm, the tide was high, and the sunset was beautiful on Big Talbot Island. John and Sarah have a heartwarming love for one another, and you can tell these two were meant for each other. John actually found me on Instagram, and I am so glad he contacted me to do their engagement session! See some of my favorite photos below, and check out the full gallery here.